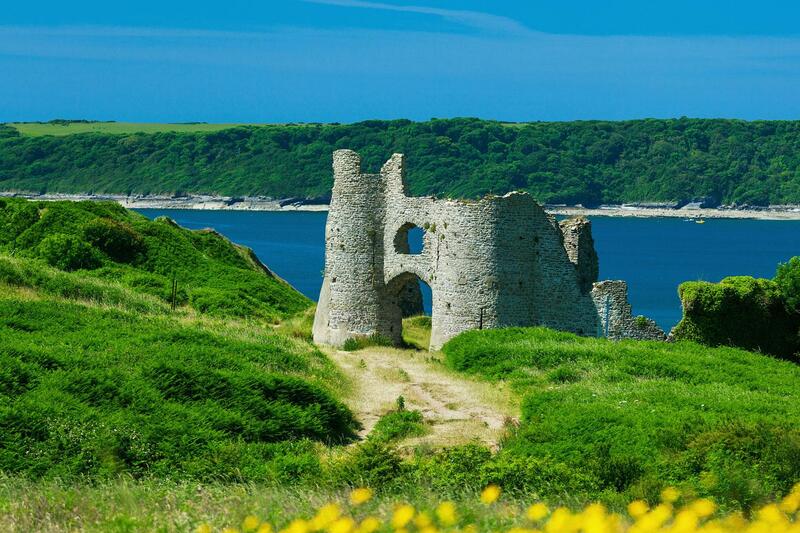 Explore trails that take you along sand dunes and towering grassy cliff tops, through woods, charming villages and past hidden coves, Iron Age promontory forts and Medieval castles. 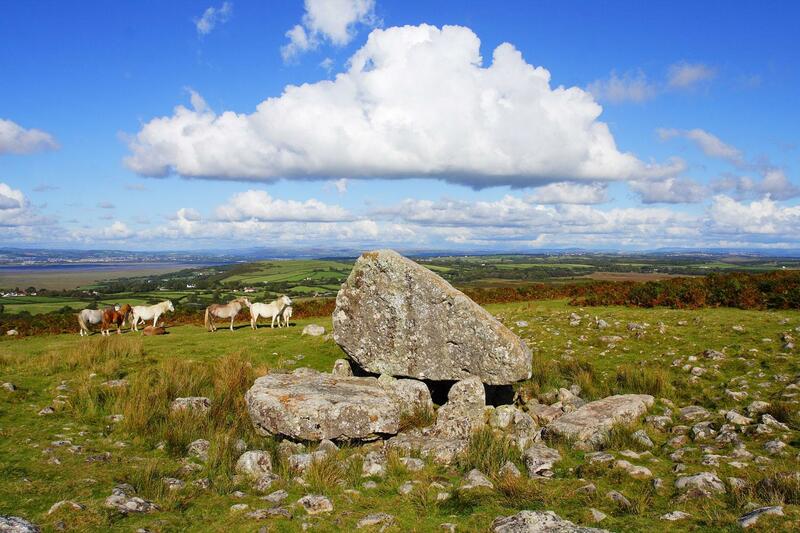 Immerse yourself in the ancient history of the Gower Peninsula. The first inhabitants recorded here were pre-historic and the oldest modern human remains were discovered in a cave on the south side of the peninsula in 1823. The Normans invaded in the 12th century, leading to instability and troubled times. 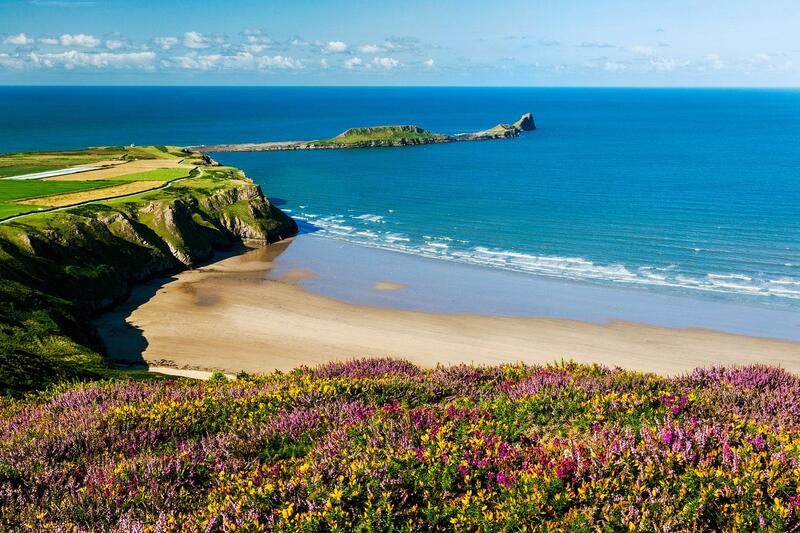 Nowadays the Gower offers serene and peaceful landscapes, with award-winning beaches, nature reserves and the friendly Welsh people, with their wonderful lilting accents! Arrive in Llanmadoc or Llangennith, two quaint villages. You will stay in one or the other depending on availability. Included is a transfer from Gowerton Train Station which is only 30 minutes away. Llanmadoc’s name is derived from St Madoc, a 6th century saint of Irish origin. The church here is the smallest on the Gower, dates from the 13th century and is dedicated to St Madoc. If you are staying in Llangennith it is nestled between the slopes of three hills; Llanmadoc Hill, Rhossili Down and Hardingsdown. Enjoy a dinner in the local pub tonight. A short transfer (20 mins) brings you to Crofty, from where you walk beside the salt marshes on the Gower Coastal Path. 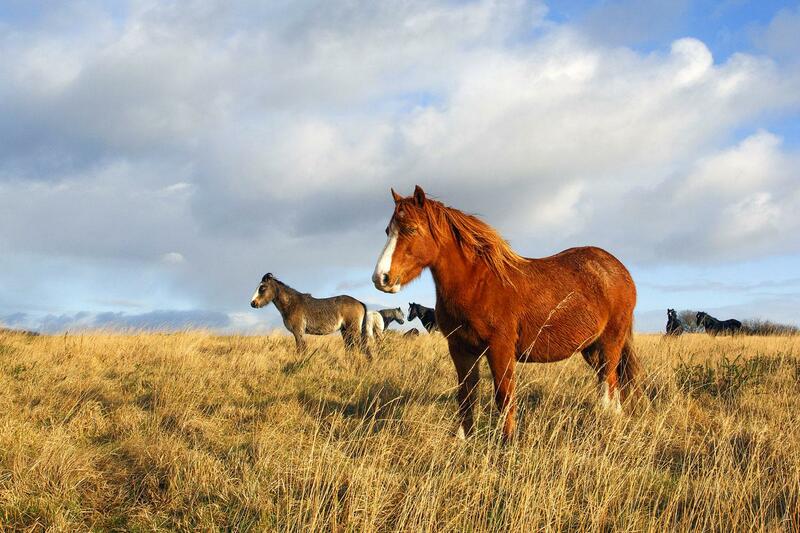 Check out the ducks, geese and waders, plus wild ponies. Go through the village of Llanrhidian where you pass Weobley Castle. Its existing buildings date back to the 1300’s and if you would like to visit it is open to the public between April and October. It has spectacular views over the Llanridhian Marsh. Cross some stepping stones across Burry Pill (“pill” is a term used in this area to describe a tidal marsh). However if the tide is high you can take an alternate route through Cheriton. Arrive in Llanmadoc, whose name is derived from St Madoc, a 6th century saint of Irish origin. The church here is the smallest on the Gower, dates from the 13th century and is dedicated to St Madoc. 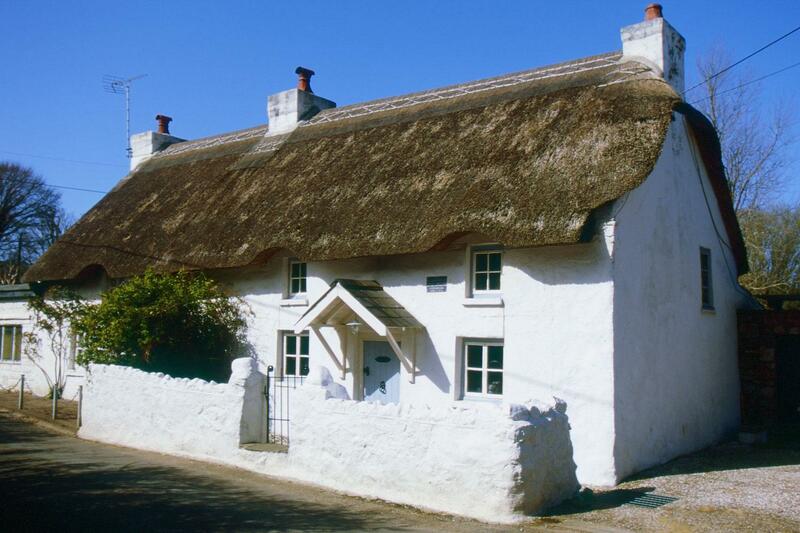 If your accommodation is in Llangennith, walk along footpaths to this village from Llanmadoc. Enjoy a warm welcome from your B&B hosts and this evening enjoy a meal in the local pub. Today combines inland and coastal walking at its best. Head out to Whiteford Point and through the nature reserve. 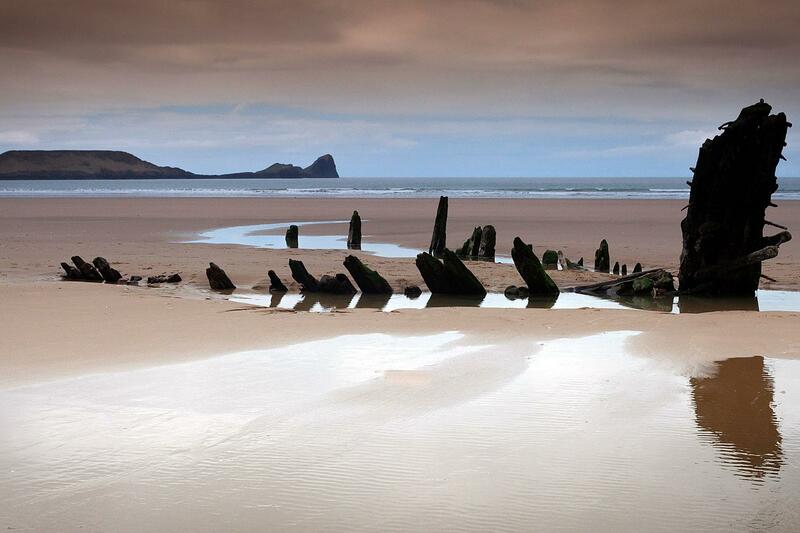 This low-lying peninsula, which is sandwiched between the sea and the estuary, is one of the most remote spots on the Gower. You will walk through a variety of habitats including dunes, beach, salt marshes, mud flats and woodland. At low tide it is also possible to walk across the sand and rocks to Whiteford Point Lighthouse. Built in 1865 it marks a dangerous shoal lying just off the point. Also walk up to Llanmadoc Hill with wonderful sweeping views over the coastline, an iconic sight on this stunning peninsula. This section of your walk is incredibly varied as you walk through dunes, forests, on cliff tops and along one of the Gower’s finest beaches. Pass Hill Tor, enjoying amazing views over Whiteford Sands and its Nature Reserve, which is over 3,000 acres and is home to rare species of butterfly and wildflowers in the early summer. Continue onto Burry Holms, a small tidal island whose name is Norse in origin, suggesting that it may have been a base for Viking raiders. Before your transfer to either Port Eynon or Oxwich after your walk (20 mins) make sure to sit on the Worm's Head Hotel terrace (or inside if the weather isn't being kind) where there are terrific views to absorb while partaking in a local brew. Walk around the peninsula to Oxwich Point through woodland and continue onto the small hamlet of Oxwich, where the Methodist preacher John Wesley lived between 1762 and 1773. Don’t miss the view back over Oxwich Bay and its National Nature Reserve from Great Tor. (If you are staying here you will walk around the point at the end of the day, rather than at the beginning). 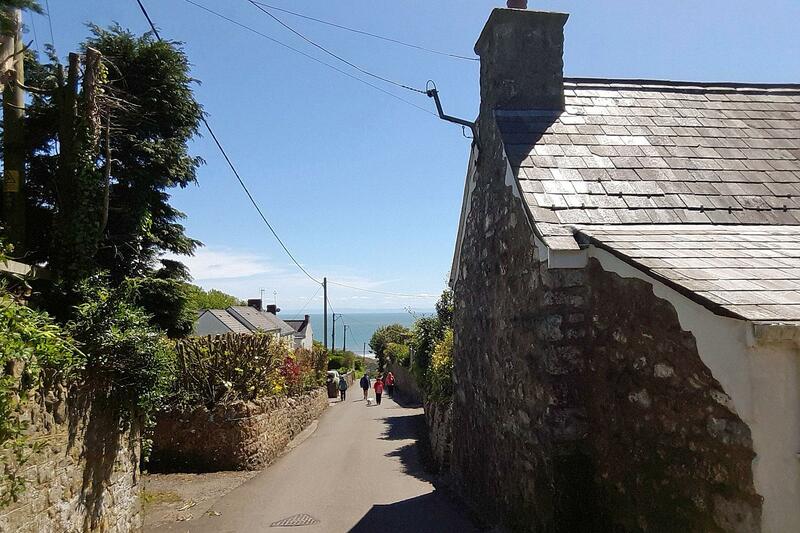 Then head inland and on footpaths and small tracks to Horton, a very pretty little village in South Gower, set on a steep hill that stretches down to the beautiful beach. 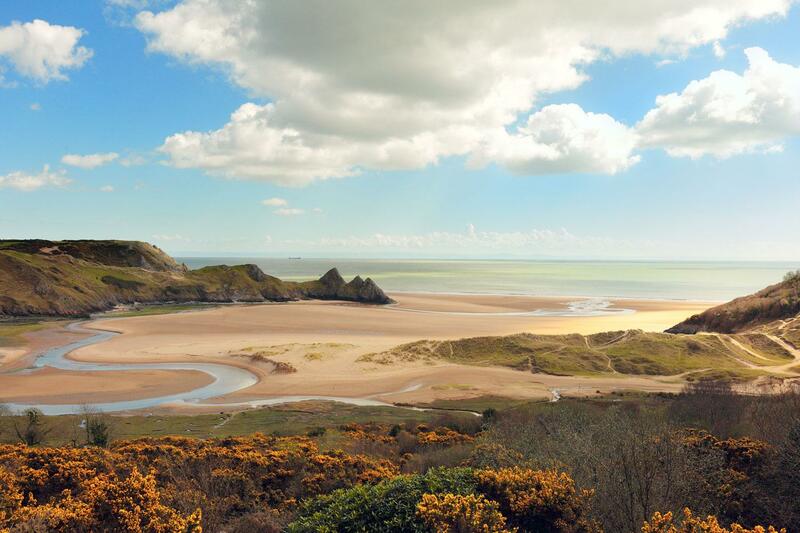 After a fortifying breakfast a short transfer (10-15 mins) brings you to Three Cliffs Bay, one of the most breath-taking views on the whole of the Gower. From here walk through Pennard, passing its ruined castle and along the high cliff tops to Bishopstone Pill, passing around the exposed headland above Caswell Bay. Here is an Iron Age promontory fort and the rest of your trail into The Mumbles proceeds through rugged coastal scenery. At times you walk along the beach, but mostly the trail is on a pleasant surfaced path. Arrive in The Mumbles, your final destination and whose name dates from the time of the Normans and the castle at Oystermouth which was the dominant feature for many centuries. Walk along the seafront and into the town where there are many restaurants and pubs and where you can dine in celebration of your final night here in Wales. Hwyl Fawr or goodbye! The Mumbles is easily accessible to Swansea on a local bus that leaves hourly and takes 30 minutes. You can reach Cardiff by taking a bus to Swansea, a train to Cardiff and then a bus to the airport. The accommodations on this tour are mainly comfortable B&B’s and guest houses with the occasional small hotel. They are all warm and welcoming and some may be quite simple , yet always comfortable. On the Gower Peninsula accommodation choices can be limited, so at times there are choices of 2 places to stay and we organise the walks so that you can walk from or to either place. Because of this the walk distances may vary, depending on where you are staying. If you wish to add additional nights along the trail or at the beginning and end of your itinerary please contact us. 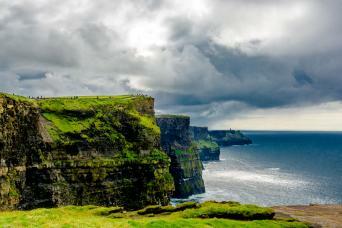 You may choose to add some rest days, or extra days where there is plenty of sightseeing. 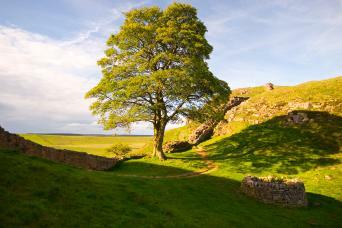 This holiday is available to solo walkers, although a solo supplement is payable. We regularly use the following properties, however as suggested above we may accommodate you elsewhere if these are unavailable. This is a very great relaxing place to stay. Tallizmand is a beautiful B&B with great accommodation. The rooms are spacious, clean and fresh with en suite bathrooms. Situated in a characterful house in the centre of the village, the rooms here are colourful and quirky. With a delicious breakfast you are sure to enjoy your stay at Western House. This B&B is tucked away down a Port Eynon side street and is very quiet. With 3 spacious ensuite rooms, you will enjoy a very comfortable stay here. In Oxwich there is a small hotel or couple of B&B’s a short walk away, which are part of the same complex. The hotel itself faces Oxwich Bay and breakfast can be eaten overlooking the bay. The Langland B&B offers boutique accommodation just a short walk away from the centre of the Mumbles. The rooms are all decorated with great care. 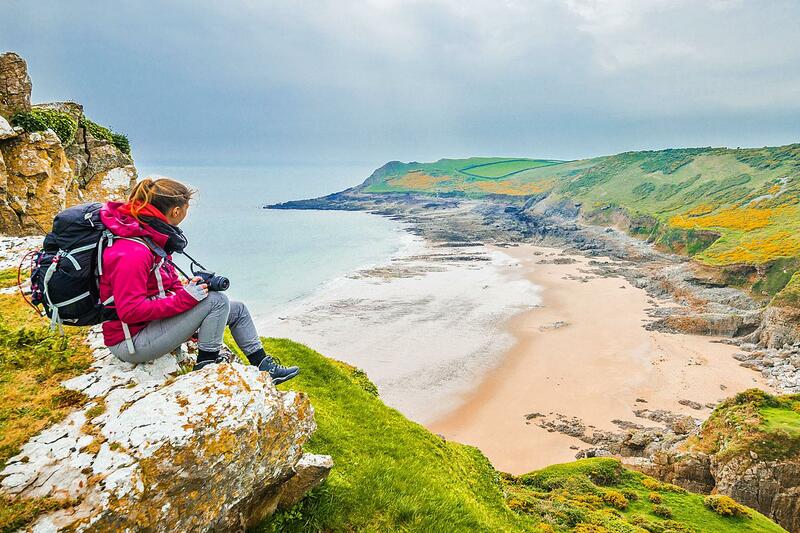 You can start your Gower Peninsula walk anytime between April and October. Please note that if you are planning on booking this tour it is better to do it as early as you can because the B&B’s tend to get full quickly, especially at the weekends, so some flexibility with your start date may be required. Please note that local buses are limited or non-existent on Sundays, if they run at all. When planning your journey please take this into consideration. A hearty breakfast (either cooked or continental) is included each morning. Lunch and dinner are not included so you are free to choose from the available options. Most of your accommodations will more than happy to provide a packed lunch on request and this can be booked on arrival. Dinner is available either at your accommodation or at nearby pubs and restaurants. This tour involves coastal walking, along dunes, beaches, through some wooded areas and on cliff tops and also offers some inland walking on footpaths and bridleways and small country lanes. Some of the walking will be quite flat but at other times there will be ups and downs as you will be walking from beaches up to cliff tops and vice versa, etc. The distances are not so far though, so this tour is walkable for those who have a good level of physical fitness. This tour is rated as moderate. Please note that depending on where you spend the night, the distances at times maybe more or less than listed every day. So please be prepared for longer or shorter walks when necessary. Quite often you will be walking on the Gower Coast Path which is quite well signposted. However at other times you will be walking on public footpaths and bridleways, so you will have to rely on the detailed route notes that we provide to help you find your way. GPX tracks are also accessible on the Macs Smartphone App, so you can simply follow the route on your phone if you wish. We also provide detailed maps. The closest airport to the start of the walk is Cardiff Airport. You can make your way from Cardiff by taking either a train or bus to Swansea (takes between 2H30and 3H30). From Swansea take a train to Gowerton and from here an included transfer (30 mins) brings you to Llanmadoc/Llangennith. Please let us know your train time arrival as soon as possible after booking so that we can plan your pick-up at the appropriate time. It is also possible to fly into any of the London Airports (Heathrow, Gatwick, Stansted). Then make your way into the centre of London to Paddington Station. For further information on train or bus travel please visit the following websites, Trainline or National Rail, Traveline Cymru. The Mumbles is easily accessible by bus to Swansea. There are buses every 20 minutes and the journey takes 25 mins. From Swansea take a train to Cardiff. Again check out the websites above for more specific times and schedules. We are often asked the following questions and we hope that you will find the answers useful. Please don’t hesitate to contact us if you have any other questions. 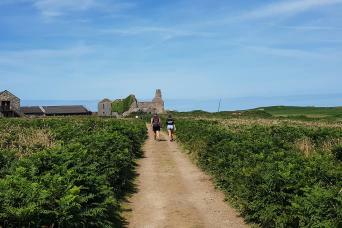 You can start your Gower Peninsula walk anytime between April and October. Please note that if you are planning on booking this tour it is better to do it as early as you can because the B&B’s tend to get full quickly, especially at the weekends, so some flexibility with your start date may be required. You will need good walking shoes/boots (ideally waterproof), comfortable walking clothes, waterproof jacket and trousers, a day pack and hats/gloves etc. A full equipment list is included in your information pack. This walking holiday is best enjoyed between April and October. 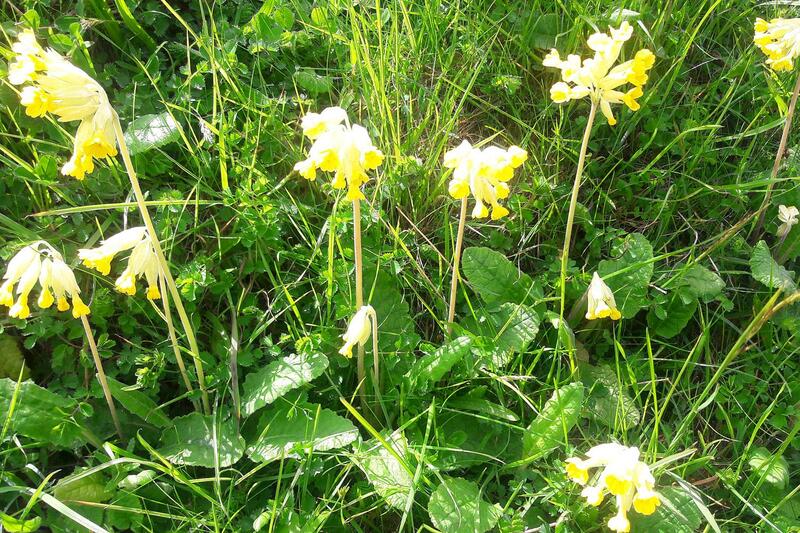 Springtime weather can be changeable but usually is the driest time of year. If you love walking by the sea and through areas of great natural beauty, staying in welcoming B&B’s and learning about fascinating history, including intriguing tales of piracy and smuggling this tour is a great choice for you. This 7 day/6 night walk is rated moderate, due to the fact that there will be some significant elevation gains and losses as you walk up to the cliffs and down to the beaches and up various hills.